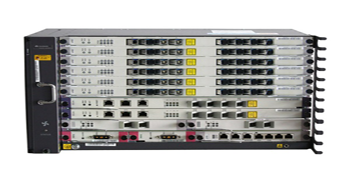 SmartAX MA5600T, MA5683T, MA5608Ts are Gigabit Passive Optical Network (GPON) integrated optical access products. 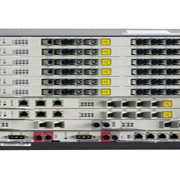 This series features the industry’s first aggregation Optical Line Terminal (OLT), integrating ultra-high aggregation and switching capabilities, supporting 3.2T backplane capacity, 960G switching capacity, 512K MAC addresses, and a maximum of 44-channel 10 GE access or 768 GE ports. 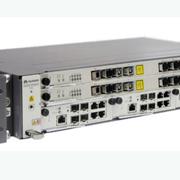 Lowers Operations and Maintenance (O&M) costs with software versions for all three models that are fully compatible with service boards, and reduces quantities of stock required for spare parts. Board configuration 2 slots for control boards 6 slots for service boards 1 slot for the universal interface board 2 slots for upstream interface boards 2 slots for power interface boards. 5.Automatic power shutdown in case of a high temperature. 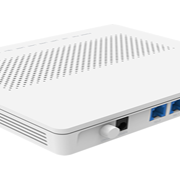 Short forwarding delay: The 100 Mbit/s Ethernet port sends the 64-byte Ethernet packets at a delay shorter than 20 μs.